This special opportunity is a two-day event to experience the Big Boy No. 4014 and Living Legend No. 844 before their return home to the steam shop in Cheyenne, Wyoming. On May 11, take an exclusive behind-the-scenes tour of the No. 4014 and the No. 844 at Ogden Union Station. 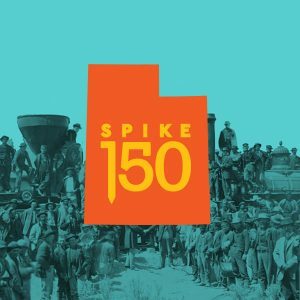 On May 12, board Union Pacific’s Heritage Fleet pulled by the world’s only operational Big Boy locomotive and travel from Ogden, Utah, to Evanston, Wyoming, to celebrate the 150th anniversary of the transcontinental railroad’s completion. This historic ride will be available to about 80 passengers. Tickets are available now on the Spike 150 website.